So you’re interested to get lean? This is a FREE 30-day program to help you look your best and feel your best. It is 100% online. We share our own experiences of what works for us and what doesn’t work for us. All you need to do is sign up, and we will send you tips, yoga to-do lists, meal plans and more. Let us help you get lean-- and stay lean-- for life! Now, we are not going to pretend that having a leaner physique happens overnight. Nor are we going to promise that once you achieve your ideal weight— whatever that is— all your problems will go away. Looking good will NOT fix your life or make you happy. Looking good and feeling good are simply things we do to take care of ourselves. That’s it. They are rewards in themselves. If you’re still interested, let’s get down to it. Yoga has many benefits, and it positively impacts people in many ways. yoga+ is committed to helping people become happier, healthier, and better human beings. That could mean a lot of different things to different people. 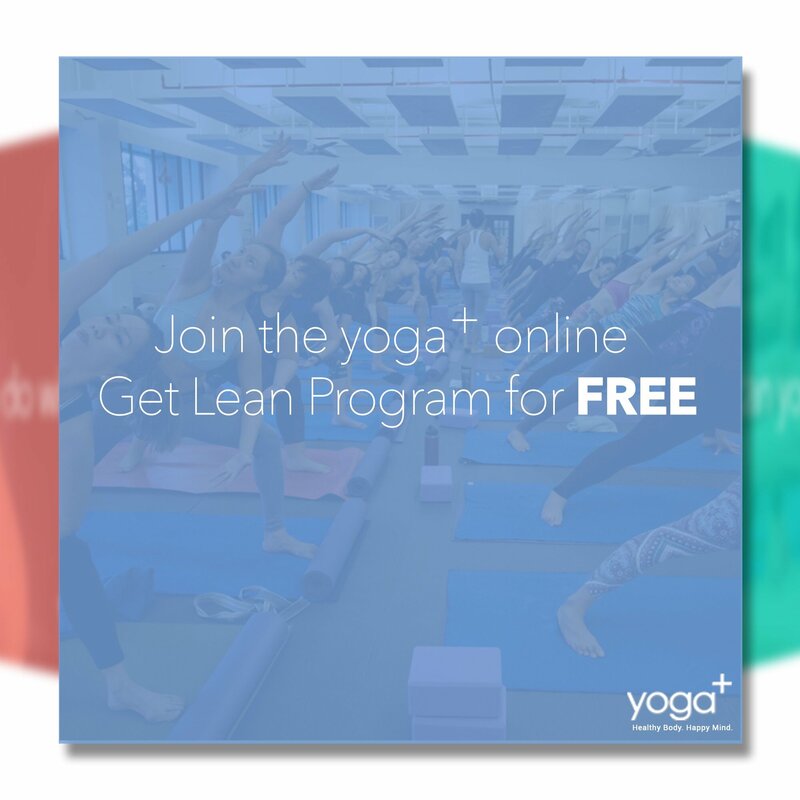 In this yoga+ Get Lean Program, we will use the yoga practice specifically as a three-pronged tool to address exercise, food, and emotions. This is a do-it-yourself program where you have the flexibility to go faster or slower as you wish. Are you excited to know more? What we are offering is not a crash diet. What we'd like you to have is a lifestyle upgrade that allows you to get lean-- and stay lean-- in ways that you can take with you for life. No yo-yo dieting. No fasting. No abrupt weight loss only to gain them all back. Yoga as a physical exercise burns calories and tones your muscles. Did you know that muscles burn more calories? Yoga exercises are a double-win in getting lean. Not only that, as a mental discipline, it gives you the tools necessary so you can be more conscious of how you eat, what you eat, and your physical activity not just while you're practicing yoga but how you move throughout the day as well. In this program, we will teach you yoga poses and include short sequences you can do at home. No yoga experience necessary! In the beginning, however, you might want to learn about the nutritional and caloric values of the food you eat. You'll notice as you track your consumption that some food are better than others in terms of being high in nutrition and low in calories. Case in point: Would you be fuller eating three bananas or one small candy bar? 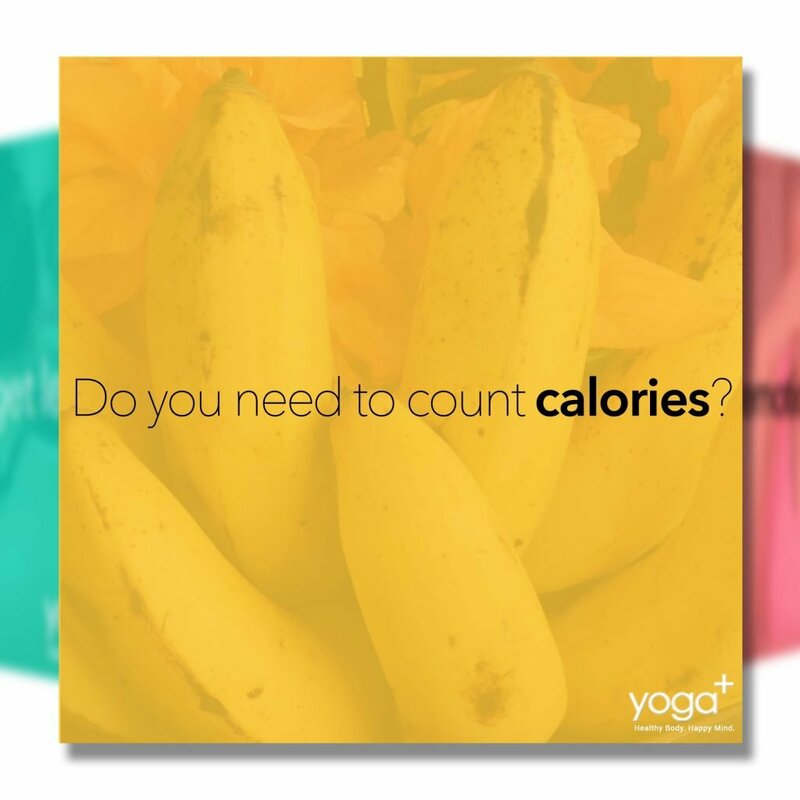 Not all calories feel the same in your body! In this program, we will guide you in eating the type of food that best promotes weight loss, and we’ll give you cooking tips and hacks so you don’t have to feel deprived as well! Eating right for life to get lean and stay lean for life. How do you like that? If only everyone could adhere to a strict diet and exercise regime, everyone would be within their target weight, right? Then why is it so difficult to build or sustain healthy habits? Could there be more to it than meets the eye? Are there other reasons that may be stopping you from breaking bad habits or preventing you from starting good ones? The fact is that when emotions are not addressed, they run the show like a madman (or madwoman). It is the pain that reaches for the bag of potato chips, boredom that tunes in to movie marathons, insecurity that makes one give up even at the peak of progress. Life challenges need to be addressed by life solutions. 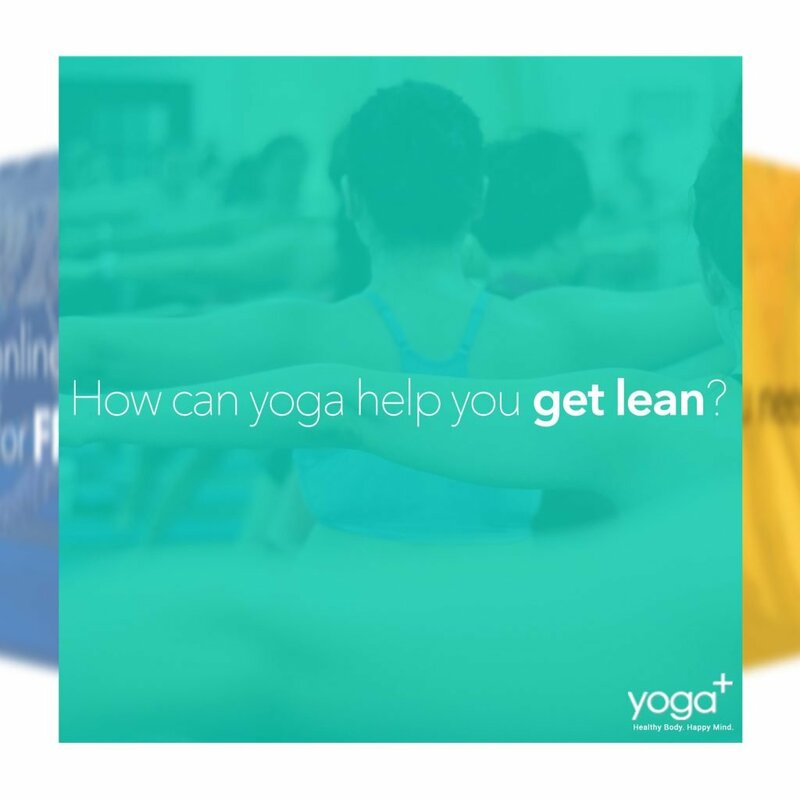 In the yoga+ Get Lean program, we will address the emotions that get in the way of eating healthy and living well. We will teach you how affirmations work, how deep-seated emotions can be invited up to a safe space, how you can heal yourself once and for all, so that what you do to our body comes from a place of sincere and unconditional love. “I realized that my relationship with food wasn’t healthy. I was eating not for nourishment, not because I was hungry, but because it was soothing in some way. It’s familiar. Because it’s there, not just physically but because I was using it to distract myself, I would end up eating junk food, and in quantities that my body doesn’t want or need. When I examined these motivations, I started an action plan. I decided I was going to practice yoga regularly, even during days I ‘don’t feel like it’. I made simple changes in my life to add more physical activity such as taking the stairs and doing errands myself instead of asking other people to do it for me. I meditated. I wrote affirmations. I wrote down my goals. I even wrote down an eating schedule. I researched on the most nutritious meals to fill my body with.